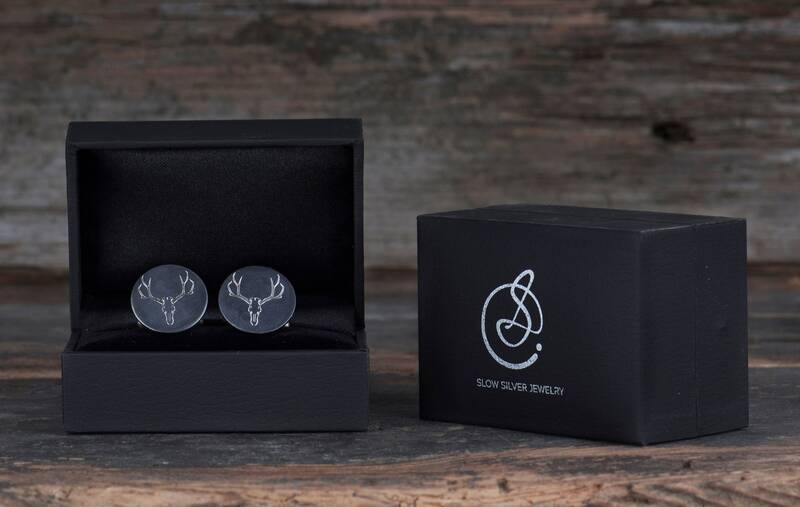 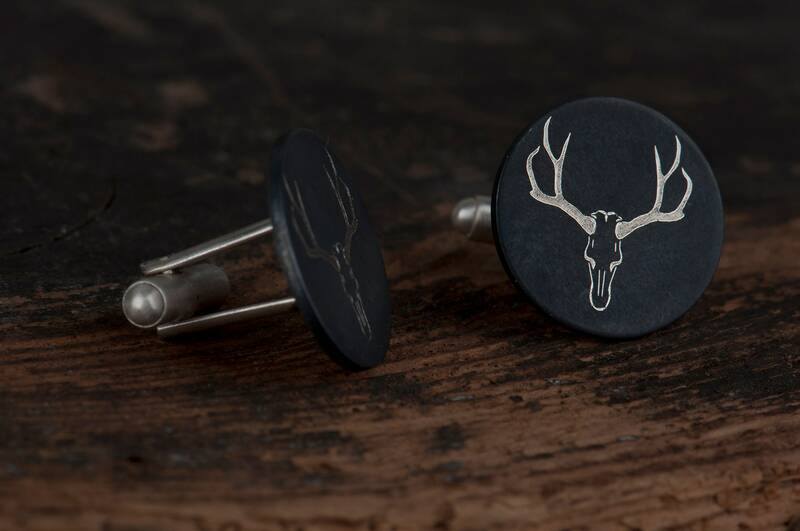 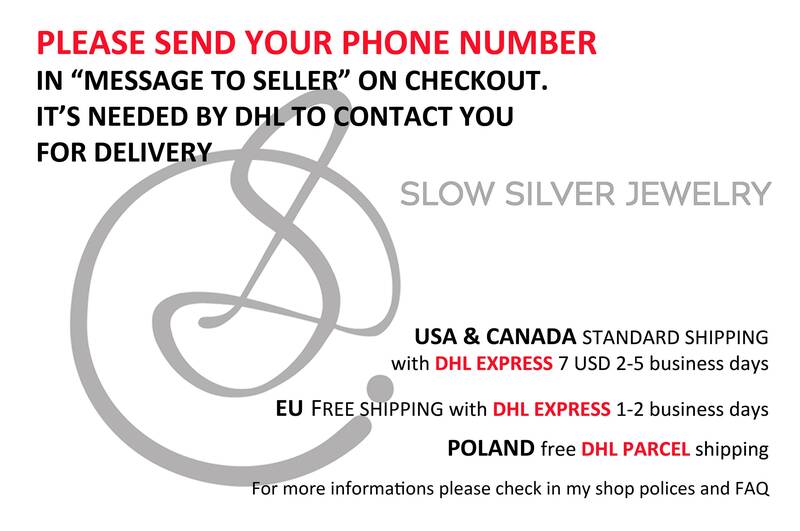 Are you looking for a set of cufflinks that show your personality in the best way? 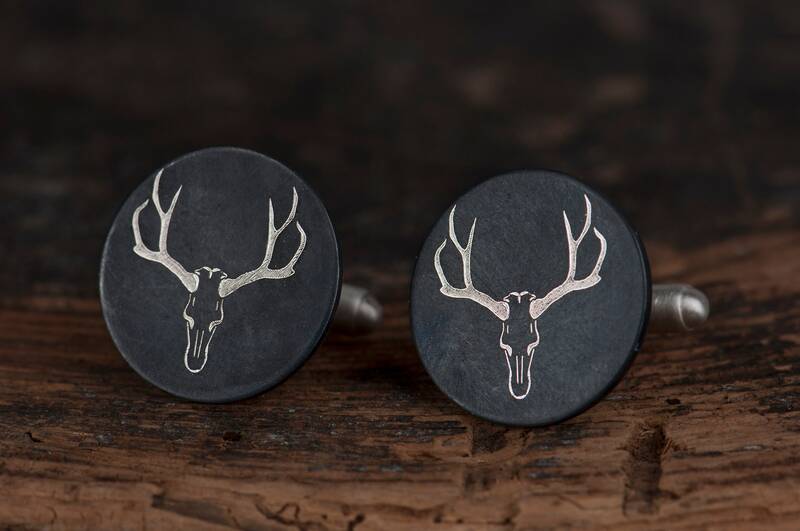 Do you need elegant cufflinks, but you want them to be alternative, unique and fitting your style? 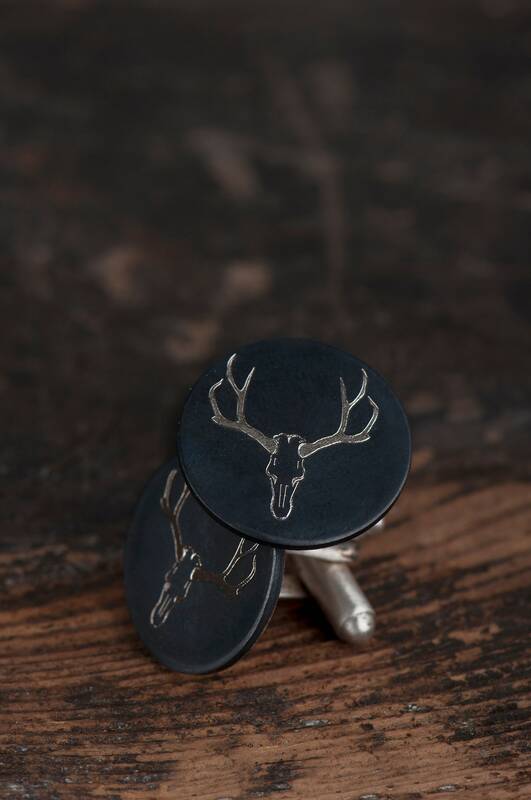 Because, who said that cufflinks have to be boring? 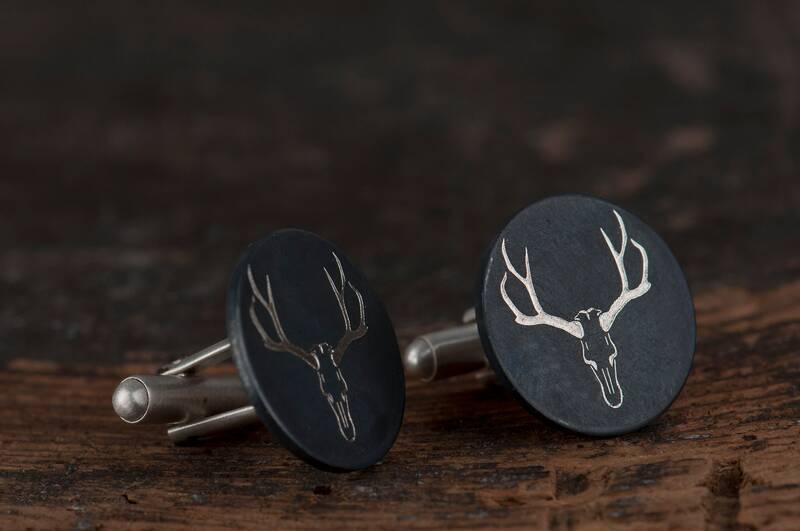 It doesn't matter for what special occasion you want to wear them - the most important thing is to be yourself in every situation. 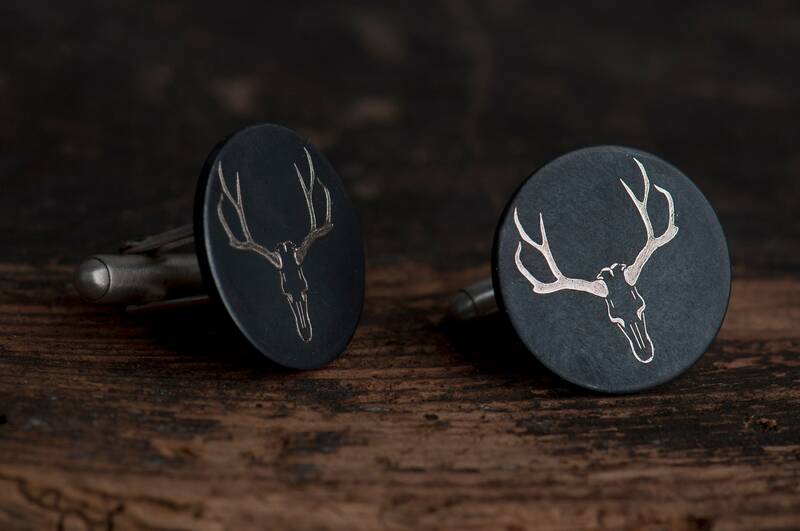 These cufflinks are made from sterling silver and they have satin blackened surface which make them look real elegant and eye-catching. 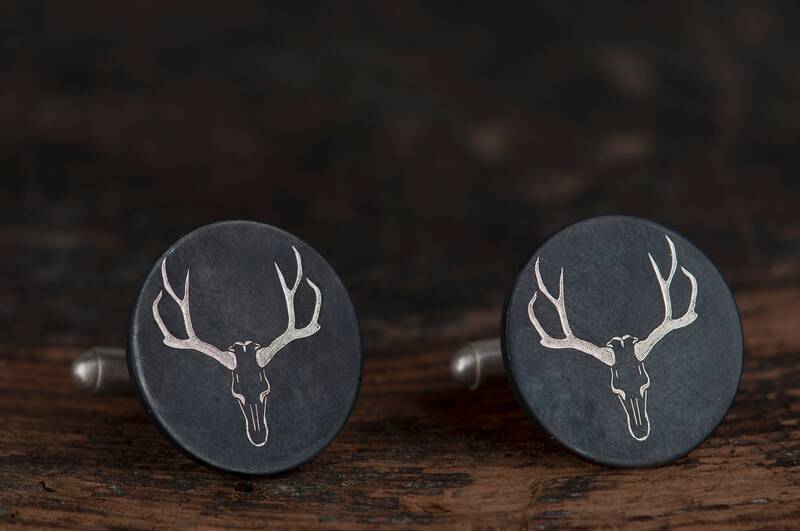 But the engraved motif of the deer skull makes them expressive and unique. 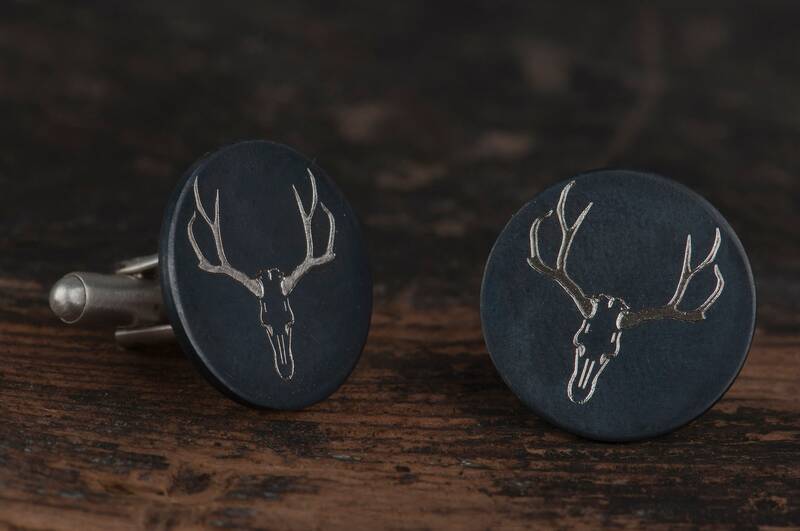 These skull cufflinks will be great choice for example as alternative wedding cufflinks for the groom and groomsmen or as a gift for a man close to you - for birthday or for Christmas.